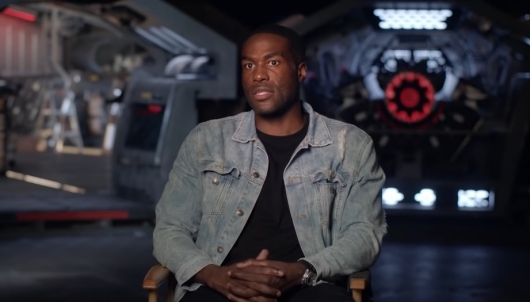 Abdul-Mateen II played Black Manta in Warner Brothers’ recent DC movie Aquaman, and has also starred in The Get Down, Baywatch, The Greatest Showman, and an episode of The Handmaid’s Tale. He can soon be seen in Peele’s next directorial effort following Get Out, titled Us, as well as HBO’s upcoming Watchmen TV series. Also in talks to join the cast of Candyman, as we found out last month, is Lakeith Stanfield. Should a deal be reached, he would play a role similar to the one played by Virginia Madsen in the original. Speaking of the original this new movie will return to the Chicago setting of the first movie, which has been gentrified since the events of the original. Set to direct the spiritual sequel is Little Woods writer and director Nia DaCosta. The screenplay was co-written by Win Rosenfeld and Peele. Peele produces through his Monkeypaw Productions, and Rosenfeld is also producing. The movie is being produced and financed by MGM, with Universal Pictures distributing domestically. Candyman is currently scheduled for a June 12, 2020 release, with production expected to begin sometime in the spring.